The first IBM Global Technology Services (GTS) Twitter Chat of 2016, on Tuesday, January 5 at 1PM EST, covers sports and technology. The social conversation will be co-hosted by me and current IBMer Jim Rushton, Global Leader / Partner, Sports and Entertainment Practice at IBM Interactive Experience and former Chief Revenue Officer of the Miami Dolphins and Sun Life Stadium. This online social sports business discussion centers on approximately seven questions pertaining to the need for sporting teams around the globe to modernize venues while team owners, CMOs and CTOs decide how to meet the growing demands of the digital #fanexperience using innovative tech that helps organizations #THINKoftheFan. 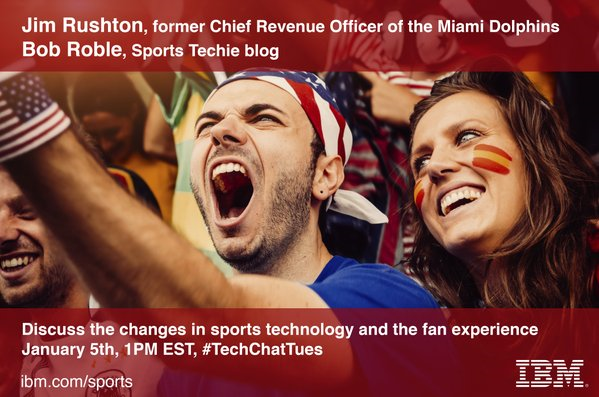 The Sports Techie community blog readers and followers can discuss the changes in sports technology and the fan experience at the first IBM Twitter Chat of the year and engage with our live web chat social conversation using Twitter hashtag #TechChatTues. The Sports Technology industry is enhancing the immersive fan experience from home to the venue because of pioneers like the new IBM Sports & Entertainment Global Consortium. Fans are in a win-win fan experience era. The importance sports franchises place on upgrading fan experiences for those watching inside a facility is now equally as important as touching each connected fan on mobile devices and television at home, work and on the road. Franchises are exploring tech enabled opportunities to fully optimize each of these revenue streams. Enhancing stadiums with telecom Wi-Fi opens up new possibilities for personalizing and monetizing the fan experience. Coaches, trainers and the front office are collecting never before recorded player performance data using wearables and then data-mining the results to stay on top of the revealing business analytics metrics about security, mobile, social, networks, social, analytics and cognitive, made available to help organizations win games, ace drafts and manage player’s health. The IBM Sports & Entertainment Global Consortium assists teams with developing tech platforms specifically for sport facilities. The IBM Sports & Entertainment Global Consortium announced on November 19 assists teams with developing tech platforms specifically for sport facilities. The consortium leverages the world leading information technology together with respected leaders in construction and design, network infrastructure, wireless and telecommunications. The sports consortium offers clients an integrated capability spanning design, strategy, technology and data to drive growth and profit across all sports enterprise businesses. The new Sports, Entertainment and Fan Experience consulting practice offers IBM Interactive Experience, a design model positioned to be the industry’s largest hybrid digital agency and consultancy. Consortium members commit to develop solutions, exchange intellectual property and collaborate to design and deliver global opportunities. The consortium’s respected team is renowned including architects AECOM Turner and HOK, packaged together with leading infrastructure technology, software and IPTV companies such as Corning, Zebra Technologies and YinzCam, bundled with game-changing communications solutions providers like AT&T and Verizon Enterprise Solutions. Partners of the global consortium can tap into the immense thinking power of IBM Watson. They are also provided with team performance analytics. The entire IBM solution suite features fiber-based networking, flash storage, wireless networking and open-standard hybrid cloud delivery as the basis of emerging business solutions. The practice also becomes the integrating front end of IBM’s proven sports capabilities — spanning personalized fan engagement (mobile and web), data management for team performance with the clients like the Ottawa Senators. 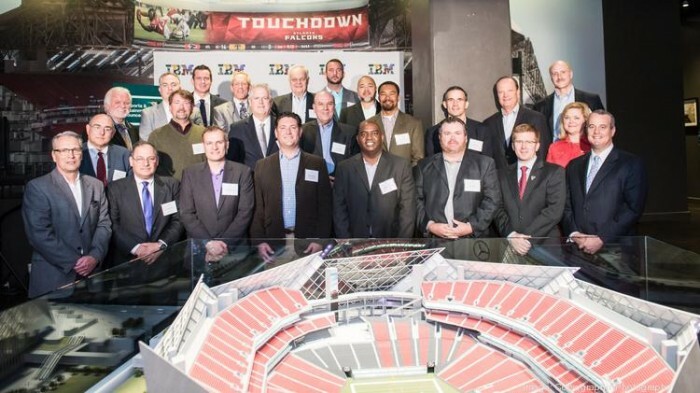 Fan experience consulting and data management integration at the new Atlanta Falcons Mercedes-Benz Stadium will be provided by @IBMServices in 2017 as a competitive edge on all other stadiums. IBM enjoyed previous success integrating Kyle Field for the unique Texas A&M 12thman fan experience. IBM’s industry leading partnerships with The Masters of PGA golf and tennis Grand Slam events at Wimbledon, US Open and the Australian Open, together with recent success at Kyle Field and the new Atlanta Stadium NFL work led to the formalization and launch of the sports consulting practice run by Rushton. The sports consortium offers clients an integrated capability spanning design, strategy, technology and data to drive growth and profit across all sports enterprise businesses. Rushton aims to activate revenue and profitability growth for sports and entertainment leagues, teams, events, and venues thru an integrated fan / customer / guest experience master plan powered by digital technology innovation providing league, team, and / or event owners and C-level executives with the revealing Big Data information to make solid business decisions. 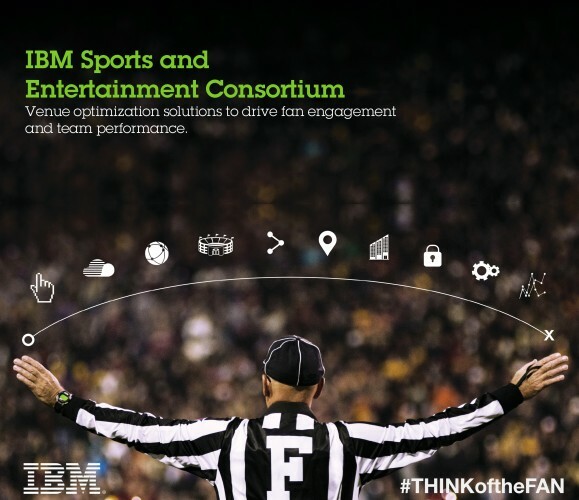 For more information on the new IBM Sports & Entertainment Consortium and IBM Fan Experience consulting services, please visit – www.ibm.com/sports. IBM Launches First Global Consortium, Consulting Practice To Modernize Venues and Sports Experience of the Future. Sports Techie, it is truly and honor to be a co-host of the first IBM Twitter chat for 2016 regarding sports technology and the fan experience. Join Jim Rushton and myself for #TechChatTues on Tuesday, Jan. 5 at 1 PM ET / 10 AM PST. 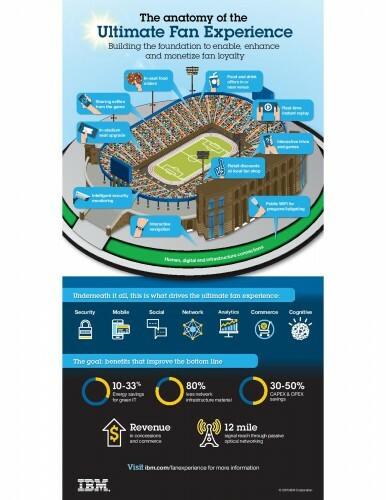 Changes the sports industry are going through because of new technology affect the ultimate fan experience for venues, teams and fans alike, something IBM has their virtual thumb on now and into the future. Thanks in advance for helping to share news of this event with others that may want to participate and #THINKoftheFan.